It was a long and hard road, but I am so pleased to finally say that People of the Delta is here for online viewing- we can finally share all our crew’s hard work to anyone with an internet connection. Scroll down for 3 additional behind the scenes videos. These videos were originally put together and shared with our film’s early supporters, and shed light on the production and all its ups and downs. Film Synopsis: For centuries, Ethiopia’s Lower Omo Valley has been a crossroads for many distinct tribes. During times of drought, natural resources become scarce, escalating clashes between groups. In an ever-changing landscape, young men and women come of age in an unfamiliar time. The story is narrated from two unique perspectives. Uri- a young boy from the Hamar tribe who becomes a man during his rite of passage ceremony, and Segelgwo- an elder chief of the Dassanach, who reflects on his community’s uncertain future. People of the Delta was shown at 10 film festivals across the globe and took home some awards at NYC Independent Film Festival, yet, I have to say I am most proud of our screening in Addis Ababa International Film Festival, and our local team who represented the film. THE HUNT FOR NOMADIC FRIENDS: A behind the scenes documentary. Over a year after principle photography of People of the Delta, Joey returns to the Omo Valley to collect the last missing pieces of the film. Joey must track down his nomadic subjects one last time, who have moved away to other corners of Ethiopia. I made my first trip to the Omo Valley when I was 18 years old, and the region and it’s incredible inhabitants still inspire me today. This film is dedicated to the People of the Delta— the People of the Omo Valley. Because I am in the position to write a post from the security of the United States, I am able to now comment on delicate matters which my Ethiopian colleagues cannot- themes which were only faint whispers in the film due to the sensitivities on the ground. As a country with over 80 languages spoken and the only African country never to be successfully colonized by Western powers, Ethiopia is an incredible country of preserved cultural depth. Its future looks bright too- a new generation of passionate, innovative youth will go on to lead the country towards becoming a regional superpower. With that said, recently uprisings have sparked across the country demanding government reformation. Keeping this in mind, I would like to underscore that the minority ethnic groups of the Omo Valley are among the most persecuted, and may not be in a position to contribute their voice to the growing conversation. Over the course of my visits since 2008, I have seen the environmental situation in the Omo Valley change dramatically. At this moment, severe drought threatens the tribes whose lives depend on grazing cattle and growing crops on limited fertile land. This drought made its way into People of the Delta as the antagonist of the film. Beyond this drought, there are also many other manmade pressures upon the indigenous people of the Omo Valley that will dramatically influence the region over the next few years. This includes the Ethiopian government’s leasing of tribal cattle grazing land to foreign companies, or the building of the controversial Gibe III dam. It is estimated that the livelihoods of over 200,000 people are at risk if the government of Ethiopia doesn’t share the wealth generated by this hydroelectric project with its minority citizens. Projects like the dam have the ability to boost the economy of the entire country, and I believe we should support the merits of such a creation, but it seems the dam only stands to benefit a select few. Research by Human Rights Watch and Survival International has shown that the dam will obstruct the natural flood cycle of the Omo River, intensifying the drought downriver, and could spark conflicts between ethnic groups who share the already scarce resources. As a filmmaker, I wanted to create a cinematic visual project that helps audiences understand what kinds of conflict can be sparked in regions like this when there is drought. In harsh times, is the enemy the other feuding tribe, or is it the environment itself? How does the warrior culture found among young Hamar and Dassanach men adapt to such dire circumstances? What is an elder’s perspective who has lived through previous harsh times? These are themes People of the Delta explores. This is a film that would have probably never been made any other conventional way, so I want to say thank you once again to all our supporters and of course our hard working and talented crew. Stay tuned for future showings and discussions in New York, and enjoy the behind the scenes videos below. THE MAKING OF A HYBRID FILM​: A look at how People of the Delta’s scripted scenes were merged with real life events. THE CREW AND THEIR GEAR IN ETHIOPIA: A behind the scenes video which looks more into the gear we used on location in Southern Ethiopia during our rugged filming process. 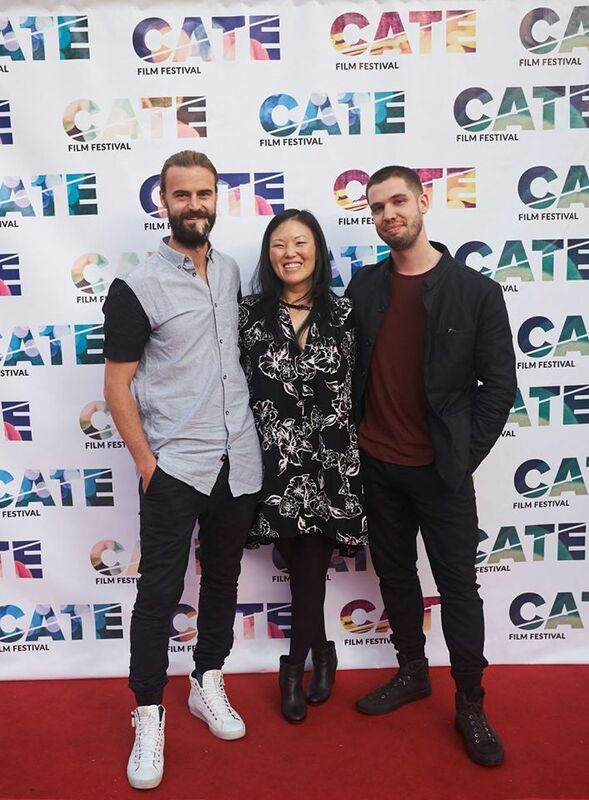 Cinematographer Sean Stiegemeier, producer Susie Hayasaka, and director Joey L. at Cinema at the Edge (CATE) Film Festival in Santa Monica, California. 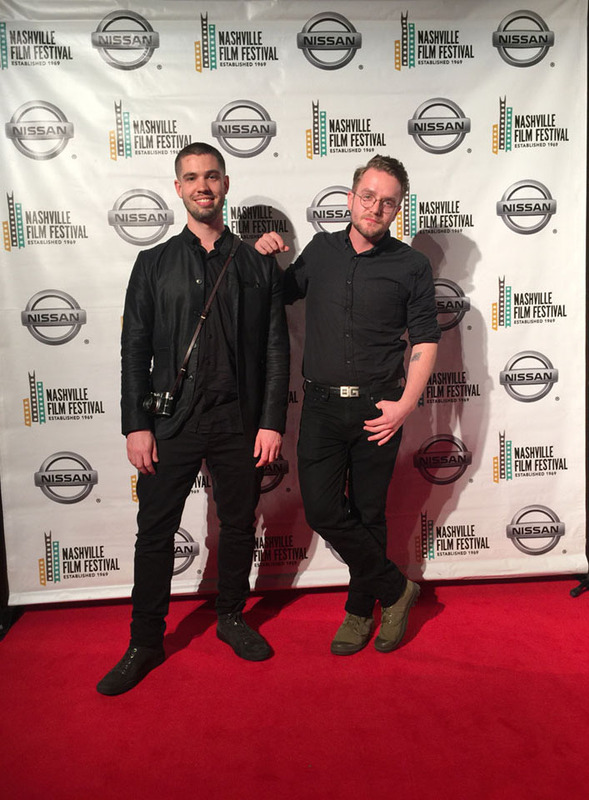 Director Joey L. and production manager Caleb Adams at Nashville Film Festival. 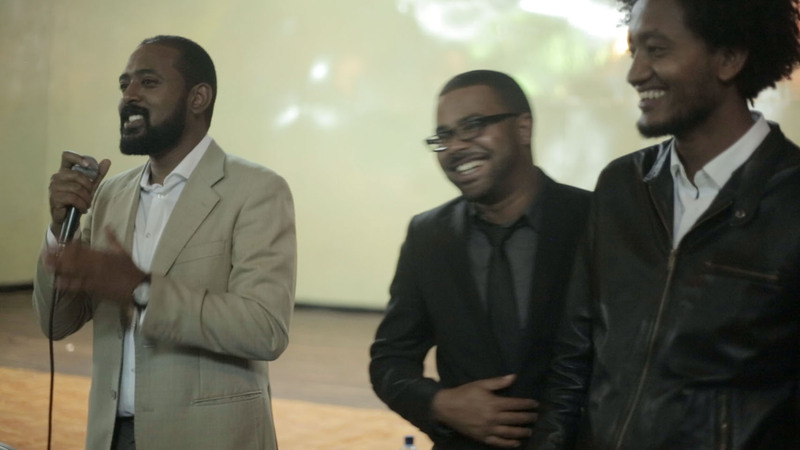 (Left to right) producer Dawit Shimelis, behind the camera operator Eskinder Fasil, and producer Anteneh Endale during a Q&A after People of the Delta’s screening at Addis International Film Festival in Addis Ababa, Ethiopia. With People of the Delta’s screening at the NYC Independent Film Festival selling out so fast, the festival added a second screening of the film with some addition behind the scenes footage. 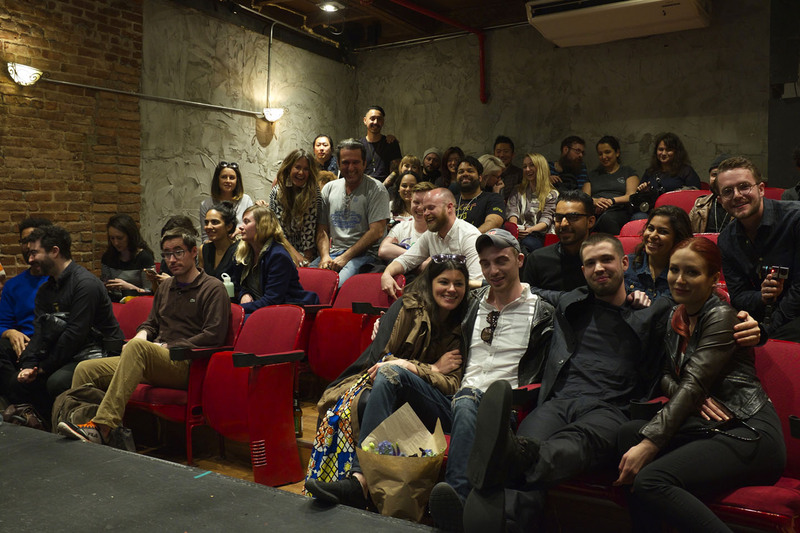 Here are a few of the faces that showed up to support the film. 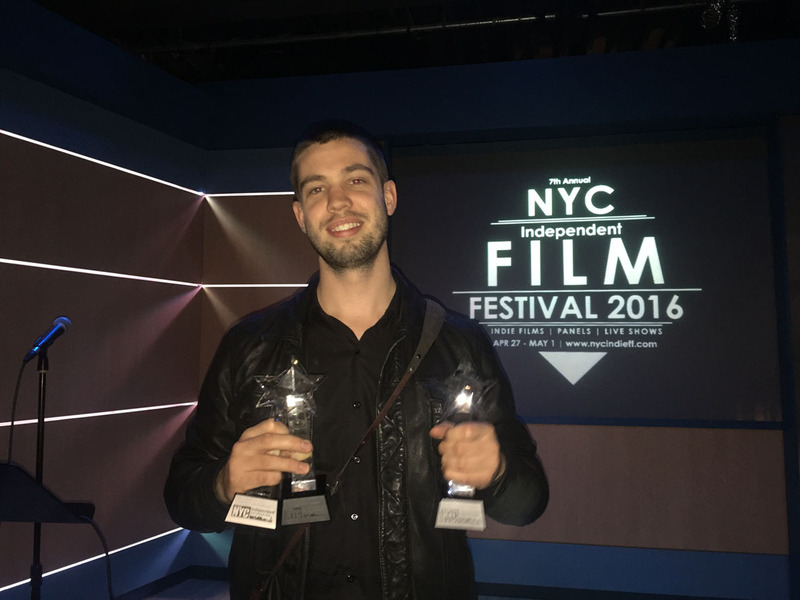 People of the Delta won awards for Best Short, Best Director, and Best Cinematographer at the NYC Independent Film Festival. I'm so happy to have this video released to the world! Such a great way to end my day .. thank you and your crew for taking me there in your movie and behind the scenes footage. You definitely have a bright future in writing and directing. Can't wait to see more from you and the other hugely talented people you work with . Your Work its amazing, Your work teaches us to see the light as a beautiful alo ally and not something to be feared that, your work teaches us to tell a story from a photo, thanks. This was a great film ,I was captivated through out the film.I can definitely relate to some scenes even though l am not from Ethiopia.At one one point I got so emotional and teary eyed.The narration and the acting felt so natural.Great job to you Joey and your team.Congratulation on the awards and I hope it wins more awards .I am inspired as a photographer .I am glad you made this free to the public and hope that you get easier funding for your next project. I am 17 years old and truly inspired by your work. I also make films, have already worked on projects for Adidas and DIESEL but your work is on another level. It's really interesting how you made it through that people, I assume it was very dangerous. The film's cinematography really triggered, excellent. I wish I ll be someday at your level. I'm so happy that @FinnHarries twitted about you or I wouldn't have find you. Love from Greece. Keep it up! Thanks for everything Joey, I'm Photographer and professor of photography school in Cape cold, in rio de janeiro in my country teachers are not valued and earning low wages with his film I spend enough knowledge to thank my students. Joey, I've been waiting for this film to watch for a couple months now, I can definitely tell the love on the project and characters. Thanks for being an inspiration and above all, being true. I'm so grateful that your vision and storytelling is a part of the world I live in, I am endlessly inspired. Hey Joey thanks for all the great advise. I’m sure you have been asked this before, but was wondering what light meter you recommend.